At Trillium Properties, we pride ourselves in our unique qualities that set us apart from other Scottsdale Realtors. 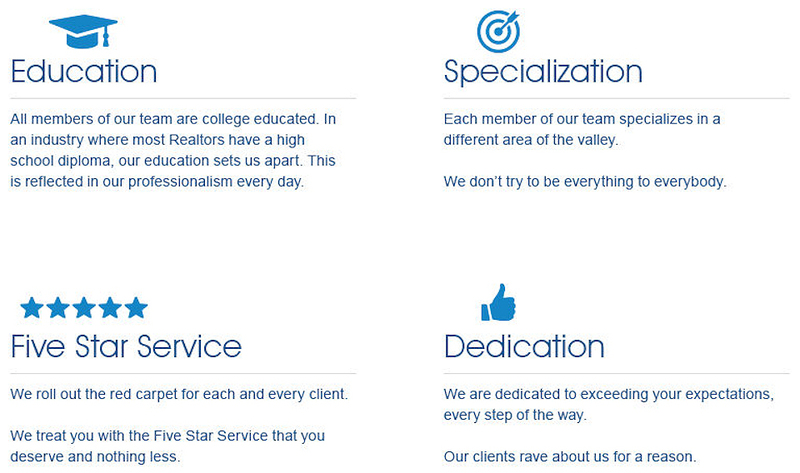 Each member of our team is college educated and highly specialized in a particular area of Scottsdale. We live and work in the area and know each community inside and out. We are dedicated to providing our clients with the highest level of service to make the process of buying or selling your home as easy as possible for you. Visit our Testimonials page to see what our previous clients say about working with us. If you are in need of a true Scottsdale specialist to help you buy or sell a home, call Carmen Brodeur at (480) 363-6244 or email Carmen@TopScottsdaleHomes.com. We look forward to hearing from you.